A View from the Hill – This post is the first in an occasional series of thoughts on educational topics. 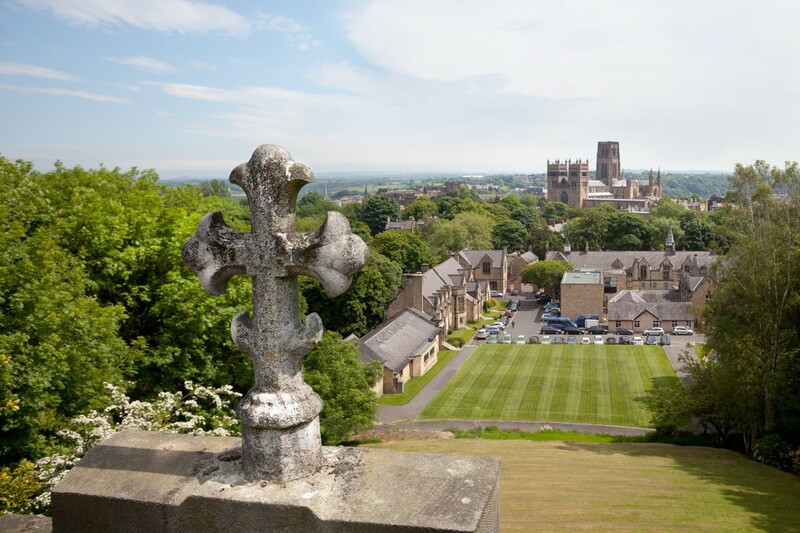 I have titled the blog "A View from the Hill" for a simple reason – the view from the Chapel Hill of Durham School is one of the finest of any School in the land. On a clear day you can see if not quite forever, then over much of the county of Durham towards the coast and the North Sea. The view takes in of course the magnificent Cathedral, with which the School enjoys a long-established connection. Although the School moved across the river over a hundred and fifty years ago, it remained a Cathedral school until devolution in 1996 and we still hold regular services at the Cathedral and have a member of the chapter as a governor. This post is the first in an occasional series of thoughts on educational topics. I have titled the blog "A View from the Hill" for a simple reason – the view from the Chapel Hill of Durham School is one of the finest of any School in the land. On a clear day you can see if not quite forever, then over much of the county of Durham towards the coast and the North Sea. The view takes in of course the magnificent Cathedral, with which the School enjoys a long-established connection. Although the School moved across the river over a hundred and fifty years ago, it remained a Cathedral school until devolution in 1996 and we still hold regular services at the Cathedral and have a member of the chapter as a governor. Happy New Year! Traditionally at this time of year we both look back on the last twelve months and reflect on our achievements as well as looking forward to the opportunities and challenges the new year brings. This is no less true in the world of education; a world where at once it seems everything is changing yet, somehow, much remains the same. So is it with a sense of optimism we can look forward to 2019? Well, partly. Much of the turbulence of educational reform has abated now. New courses at both GCSE and A Level are now … Continue reading Another year over..
What’s the point of being good at games? Leicester City Football Club winning the Premier League. Usain Bolt winning his third Olympic gold medal in the 100m. Andy Murray winning Wimbledon. England winning the rugby World Cup in 2003. Virginia Wade winning Wimbledon. England winning the football World Cup in 1966. Depending on your age and inclination, I am sure you can remember where you were, and how you watched, when one or more of these sporting events happened. Or, closer to home, there are other sporting events which are memorable, such as Jonathan Edwards’ Olympic gold medal in 2000 or Newcastle United winning the FA … Continue reading What’s the point of being good at games?